Kinetic and fully functional. 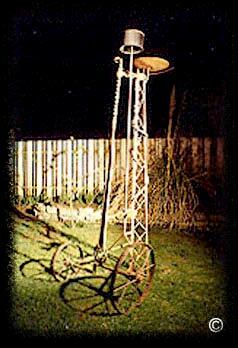 Comprised of wagon wheels, carport stanchion, oil-field wrench, auger, disc, haytine, furnace fan and misc. steel. Collection of artist.